Base Makeup – Page 6 – Oh My Stellar! Please note that this post uses affiliate links, but I have not been paid to write this post. Any money made from affiliate links is invested back into the maintenance and updating content for this blog. 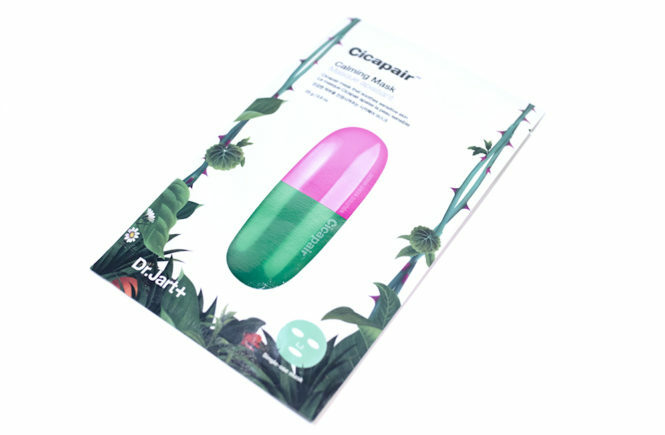 I am a massive fan of Clio, as people are well aware, and one of their other brands is Peripera. 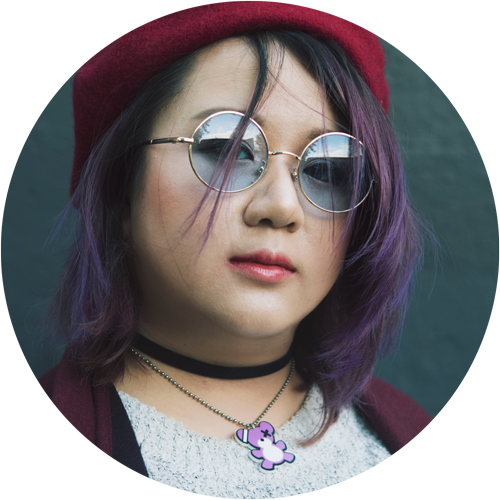 Although I am not a hundred percent certain whether Peripera is a sub-brand or similar, I do know that they both have the same strengths in staying power and pigmentation. 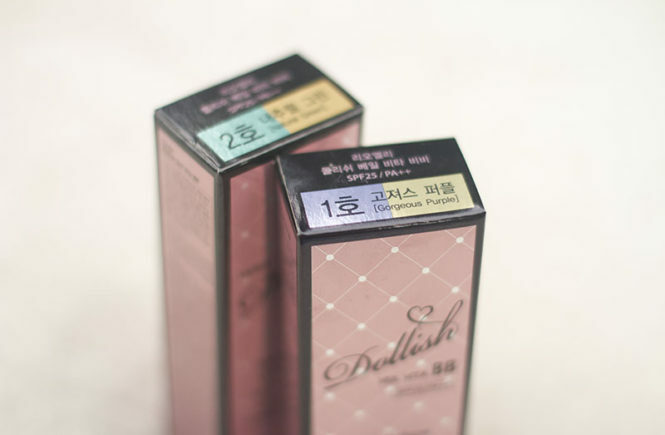 I’ve been obsessed with the Peri’s Ink lip tints since trying them over in Korea so I was super excited when they actually came out with a Peri’s Ink Drop BB Cream! 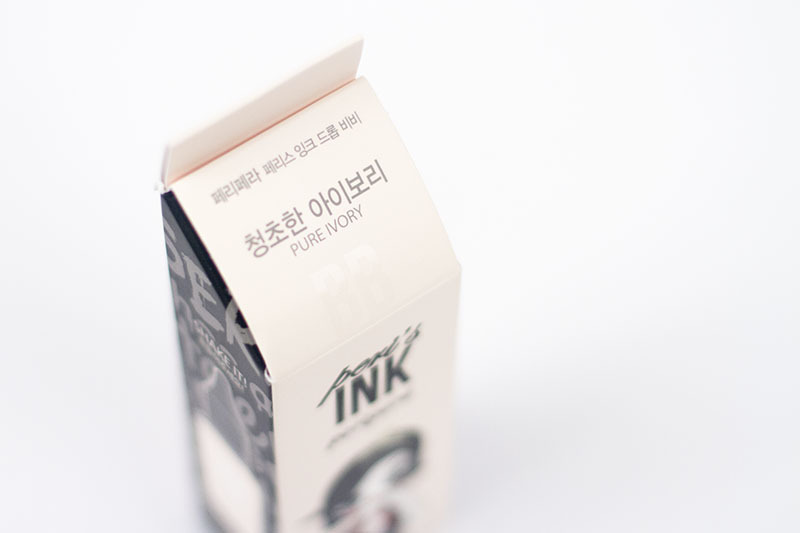 This product comes in the very familiar Peri’s Ink packaging, though slightly altered for the new product, and contains SPF30 PA++. It’s a little bit less than what I would usually use but, since I’ve now developed the good habit of using sunscreen, I can look past that. If you’re interested in getting this product, or some others, check out KollectionK. 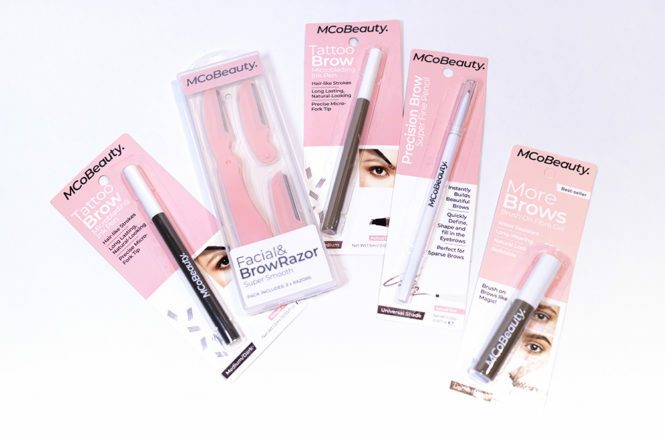 They were so nice to send me a couple of products to review and I have good thoughts towards their service as well – clean shopping cart, easy to search products and a useful wishlist function. Since my first review, they have also launched a part of their website called Koncierge – a personal shopping service, for when you’re looking for products that you can’t find on their website (or elsewhere). A super exhausting few days means that updates and new posts have been slightly delayed on my end, so I have to apologize for that! However, I am back and here with another review of a product I’ve been meaning to try for quite a while – Lioele’s Dollish Veil Vita BB. I’ve had this product recommended to me a few times and I thought that the colour correction/changing function was quite unique. However, I’ve never actually used anything from Lioele before so I was interested to see how this would perform. I think that, since this product, they have also released a new, similar (?) CC cream version (correct me if I’m wrong). 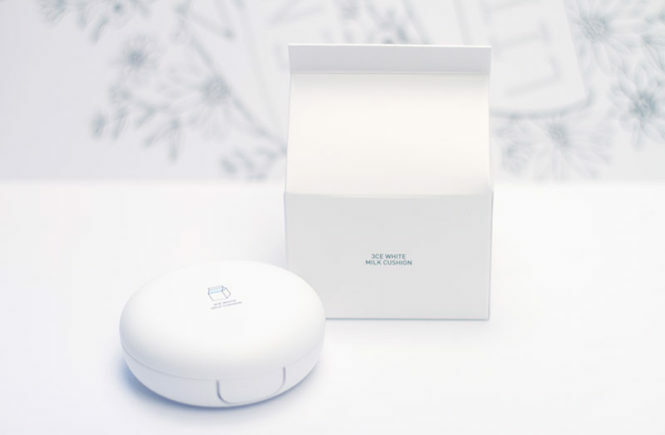 This product was sent to me for review by Beautynetkorea so if you’ve like to get your hands on this, or search for the new products to test, just click on their name! 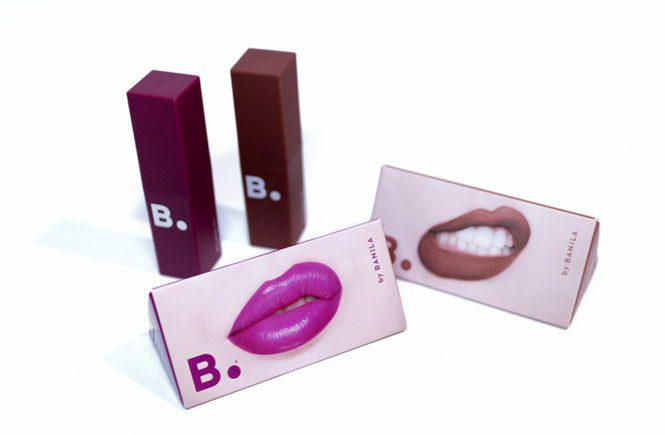 And now, moving on, let’s look at these BB creams! I received both colours for this – green and purple. Presumably, the green can be used to counter redness while the purple would even and brighten your overall skin tone. I often use a colour correcting base under my make up, though the actual colour often varies. I don’t have too much redness, but am prone to some uneven skin tone and yellow/sallow skin (thanks to sleepless nights). This BB cream is meant to adapt to your skin colour, which would be good for those who have difficulty finding good matches. However, being approximately a #21 (or #23 darkest) myself, I am a little hesitant to say this will work for darker skin tones without making your base too ashy. So many people have been talking about 3CE’s new White Milk line and I was so happy that BB Cosmetic gave me the opportunity to try and review these products. Before receiving them, I had actually not looked into their products aside from the (super cute) packaging. I don’t regularly use any of 3CE’s products but I do love their lip colours – intense pigmentation and trendy packaging. Personally, I’m a little hesitant about using their base products or skin care, only because 3CE is a trend brand and (from what I know) operates as a sub-brand of fashion label Stylenanda. I’m generally very hesitant about brands that do not specialise in skin care but choose to dabble. For the sake of this review though (and the fact that this really is super cute), I decided why not! Let’s give it a go and find out whether my concerns are true or not. Below is the cover of the cushion. I love the simple illustration; from a design perspective, it has a lot of personality and really helps to tie in their entire collection. 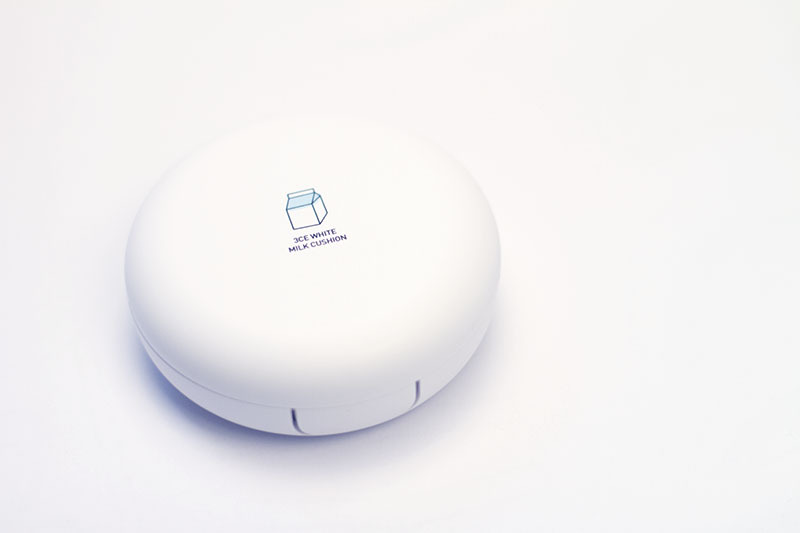 The packaging is plastic and looks a little basic, but is actually quite sturdy. I would be a little worried to carry it around all the time but only because I think the white will dirty easily. The casing doesn’t seem fragile at all. 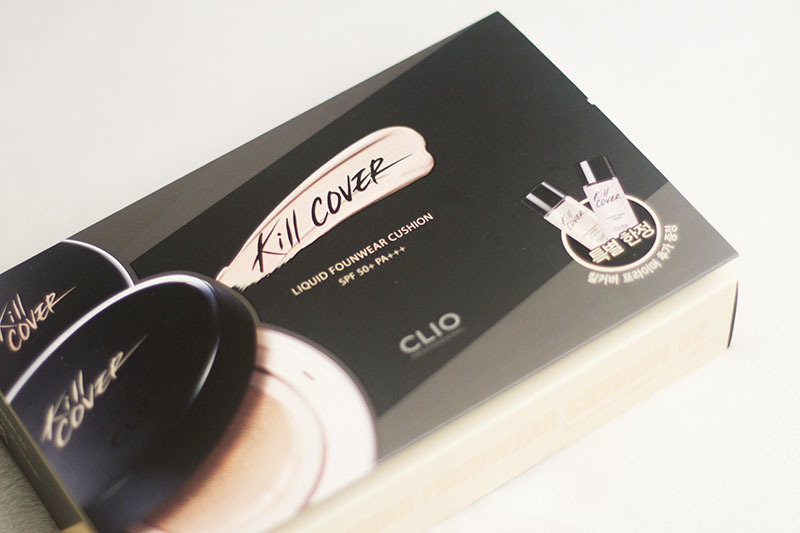 The cover over the cushion is quite firm, so it keeps the product moisture in well. You’ll have to really push it open. The mirror is a little small for my liking, only because I’m used to the IOPE and Clio cushion packing. It’s pretty obvious that the packaging of this product is targeted towards the young and trend conscious. It is minimalist and elegant, but definitely plays into what is ‘in’ right now. I like it though. It’s exactly my style! You guys have probably seen this cushion featured a number of times on my instagram and finally, I’m going to be doing a review! 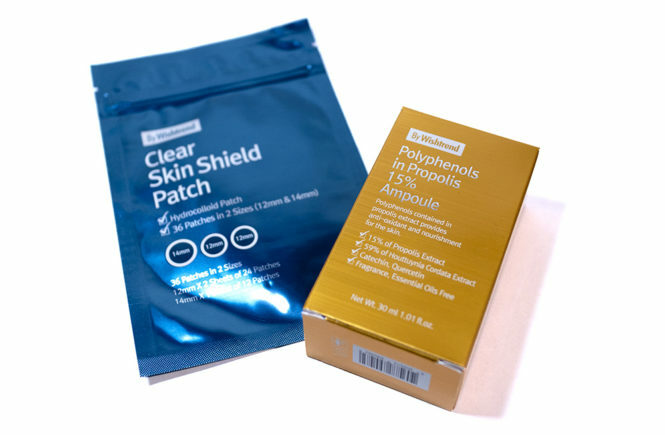 This is from my previous RoseRoseShop haul and is actually a product that I received incorrectly – they have since replaced and sent me the correct Ampoule Cushion to me. However, this doesn’t mean that I can’t test it out, of course. The package come in a relatively large box and contained a refill and a primer (the pink bottle) in addition to the cushion and a sponge (one sponge, no extra). 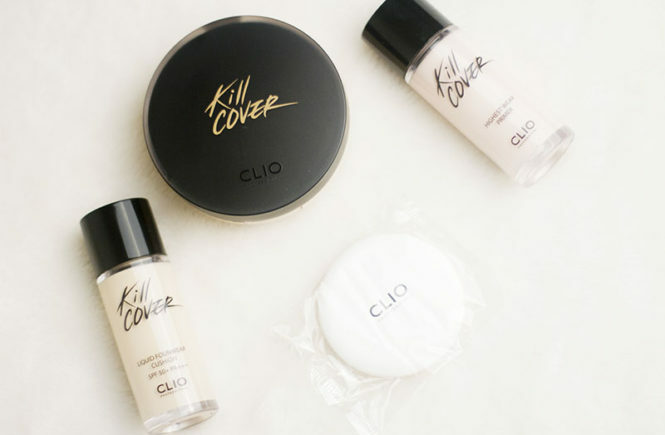 I was quite impressed with the packaging because it was very sturdy and it looked really classy, and I don’t expect much less from Clio, to be honest. It was the first time that I saw the refill in the form of a bottle though so, when it’s time for a refill, I’ll definitely let people know how I go with that. Please note that, although I am linking back to RoseRoseShop, this is not a sponsored review and I bought this product with my own money as part of my previous massive (and a little bit irresponsible) haul. I’m doing another review! I’m probably a bit more excited than I should have been. 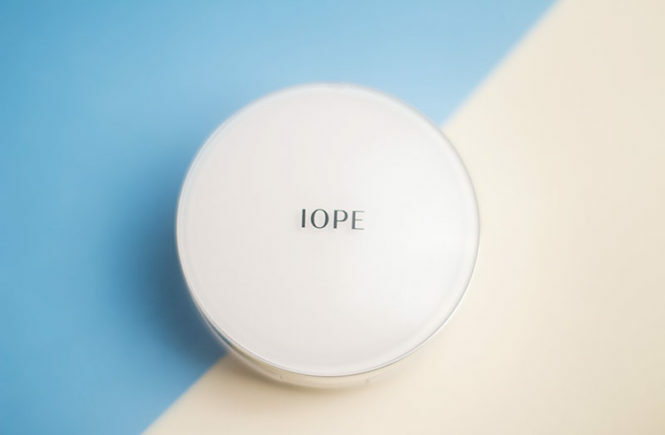 This is the IOPE air cushion pact that I bought from RoseRoseShop. I’ve been wanting to try this since seeing a friend of mine crazily bulk buy this for her and her sister back when we were living in Seoul. I hadn’t gotten around to it though, mostly because I’m very happy with my MISSHA bb cream and because this is (relatively) pricier than another brands. Since having a rather lacklustre experience with another bb cream cushion, I decided to finally test this one out. From my friend’s advice, I bought the natural cover version, which is meant to give a medium, buildable coverage that is suitable for achieving a dewy look. 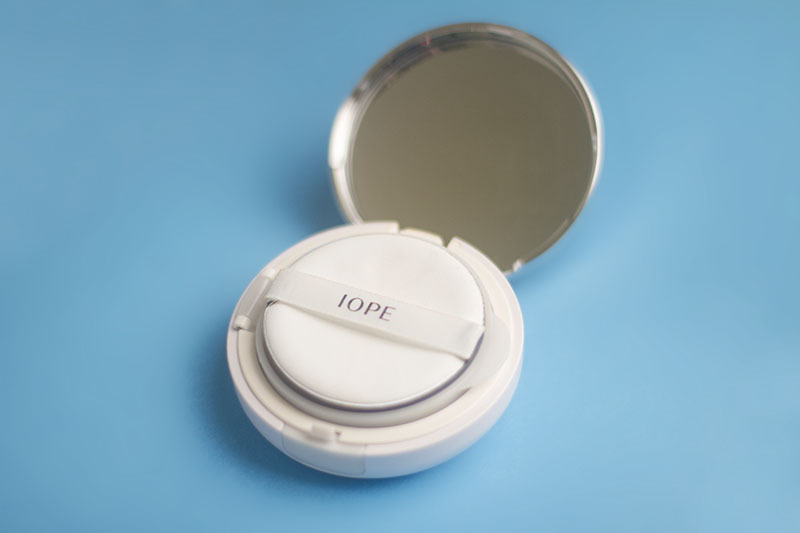 The IOPE cushion is rated one of the best and is supposed to be really great for dry skin (as it applies quite moist). 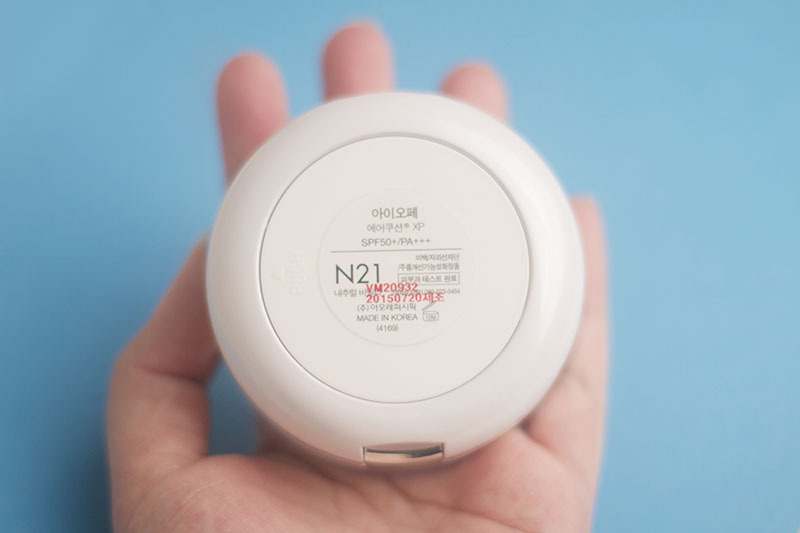 The cover version, which may be preferred by those who are more prone to acne or have scarring, is said to have a more matte finish which is what I didn’t like about my previous THEFACESHOP cushion.